Finish ahead of schedule, with superior results. You push the limits every day. Our technology helps you push past those limits. All of our systems are designed to help you finish faster. From sonics and lasers, to GNSS to the ultimate 3D-MC2, every step allows your machines to run faster, with more flexibility and greater visibility. These three values combine to make the whole job run faster, with less down time. Every job needs to get to grade. Topcon gets you there with smooth, accurate results. No matter how demading the job specification, we have a solution that can meet or exceed it. 3D-MC² brings vertical accruacy within 1.5cm, and Millimeter GPS can tighten that even further. And our solutions leave behind a finish that others will envy. With your machines moving faster, and your crew having greater visibility and achieving smooth accurate grade in fewer passes with no rework, your costs are drastically reduced. Take greater profits, bid more competitively, and grow your business. With Topcon as your partner. and elevation and slope automation and indication. 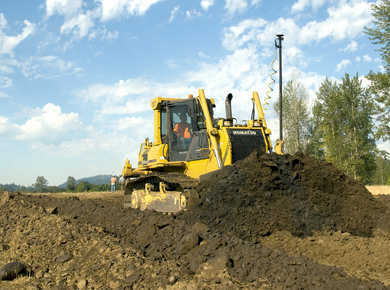 Topcon 3D motor grader systems have proven immediate productivity and accuracy increase. 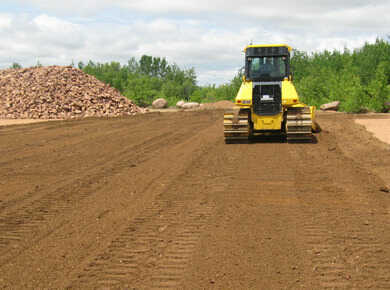 Topcon 2D grading systems offer your operator elevation, mainfall and slope automation.